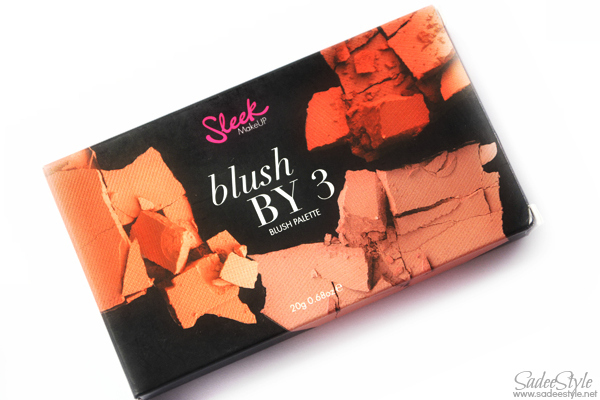 If I would have given a chance to choose one product from sleek cosmetics range I would defiantly go with this sleek blush by 3 (Lace). I have been looking for this Trio Blush compact for my mom, but somehow I could not manage to get it. It was always in my wishlist, but found it out of stock all the time I tried to order it. Finally, I found it at cloud10beauty. I'm having a very pleased experience with cloud10beauty recently reviewed Sleek Snapshot which I also order from them. Well I'm very excited and happy to get it. I own many blusher/bronzer, but this is I would say is unique and amazing. Packaging and quality is great comes in a strong and sturdy compact which contain three most essential and very wearable blushers Crochet, Gupure and Chantilly. 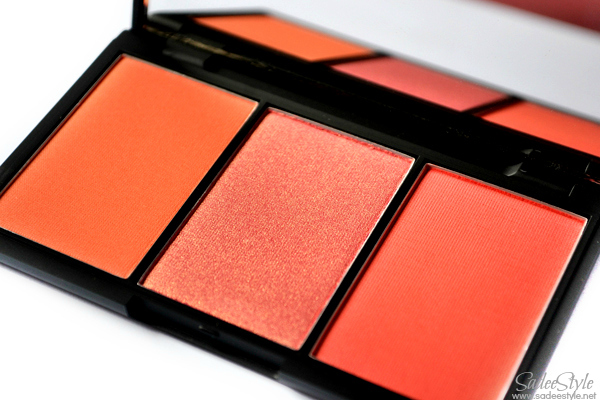 It's a wonderful trio blush compact. Packaging is usually impressive. All shades are unique and very gorgeous. 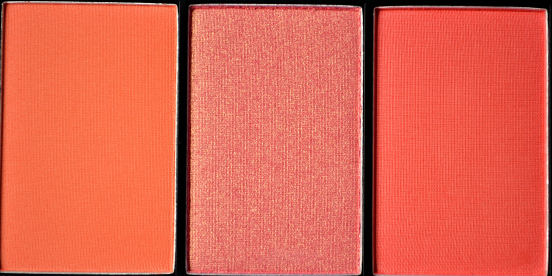 These are great at pigmentation and color payoff is amazing. I layered it only once to achieve the desired intensity. It has three wonderful shades Crochet, Gupure and Chantilly. Crochet and Chantilly are matte when Gupure is highly shimmery. Each colour is beautiful and appealing. As I'm a fan of shimmery shades so i would defiantly love Gupure more, but the matte shades are also incredible in texture. As you all know that shimmery shades are always work wonder, but we always struggle with the matte ones and amazingly these two shades are amazingly smooth and velvety in texture. There is no fallout. They blend well without leaving powdery or stain effect. Crochet is a soft coral shade looks more dark in compact, but gives very light and flawless effect on cheeks, Gupure is my favorite blush because it is very smooth, silky and shimmery and texture glides smoothly on skin. Chantilly is a rosey pink color feel very refreshing would suit better for fair skin. I'm highly impressed and loving this Trio. This literally made me to love sleek. I'm looking forward to trying more products from sleek. It beyond the words. Each shade is wearable and very beautiful. Only con for me is its a limited edition. I want to try that middle sparkly shade, looks so pretty! 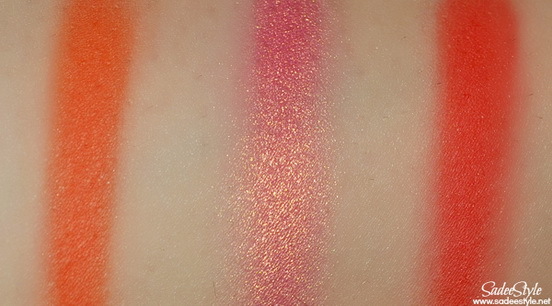 G4eat lookung palette like the colors and how high it is on it pigment. I love the middle shade ! 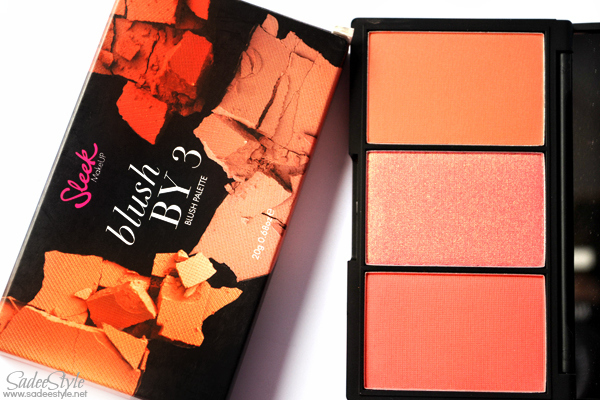 Gorgeous blushes, I love all three of them. The colors look so bright..perfect for spring. Thankx for the review! The colors look so bright...perfect for spring..thankx for the review! Beautiful shades <3 Love Gupure...it's such a lovely color!! !